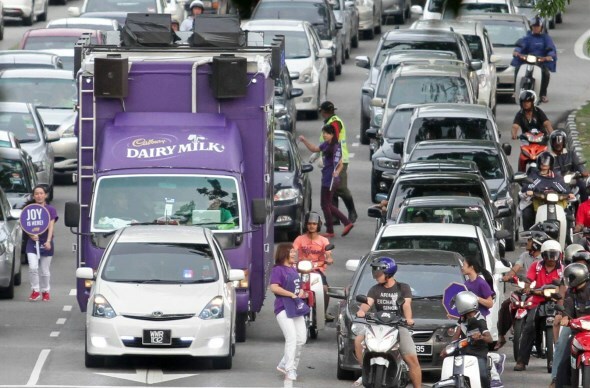 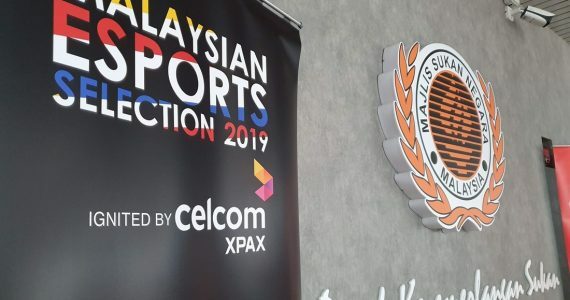 If you somehow found yourself stuck in the evening traffic jam at certain major roads throughout Klang Valley, Melaka, Kuantan and Johor Bharu within the next few weeks, you might want to look around for this particular purple truck. 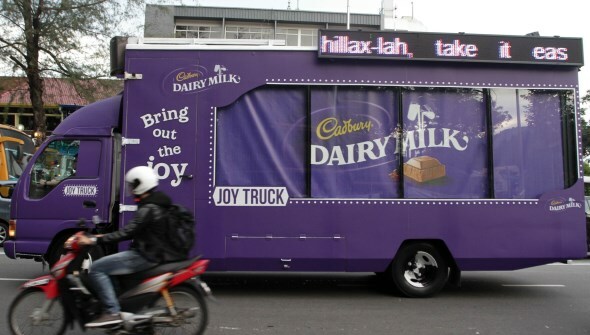 Don’t be fooled by its exterior; the Cadbury Dairy Milk’s Joy Truck is not just any random purple truck. 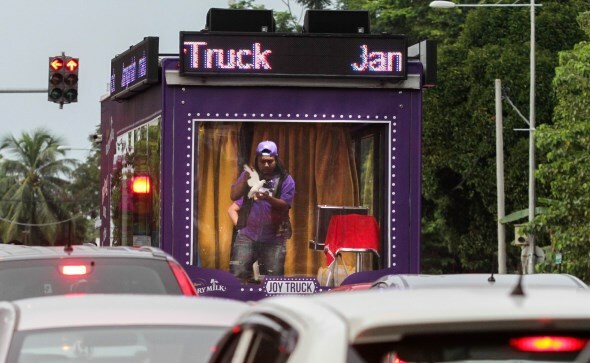 As a self-proclaimed carnival-on-wheels, the Joy Truck aims to entertain the drivers and passengers that are going through the traffic jams with dance performance and magic show right from within the truck. 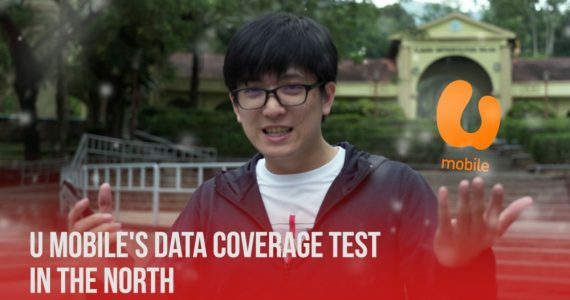 Additionally, accompanying staff will be on-ground to hand out free Cadbury Dairy Milk chocolates to everyone. Mmm, chocolates. 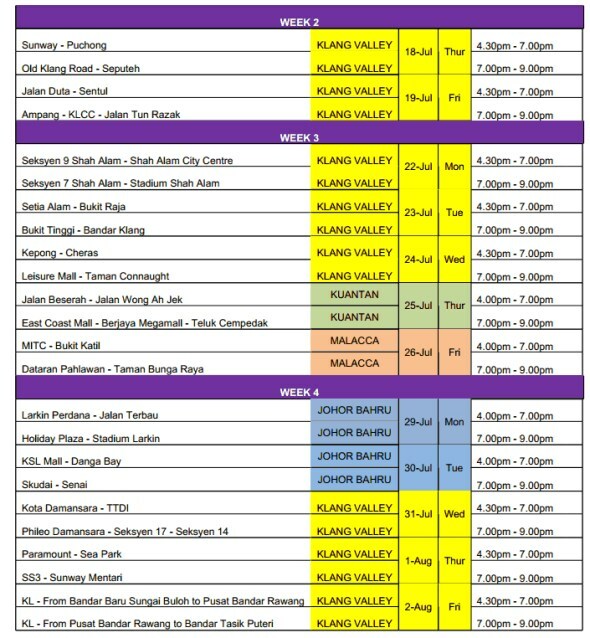 To see the truck yourself (and grab some free chocolates while you at it), check out the Cadbury Dairy Milk’s Joy Truck full schedule through the Read More link or for further information, visit facebook.com/CadburyDairyMilk and twitter.com/CadburyMY.